Whatever your political views of the Affordable care act of March 2010 (Aca), better known as Obamacare, there’s good news if you need to buy online health insurance for yourself or your family for 2015. The website hosting the marketplace health insurance, or exchange, where you can apply for insurance has emerged from its early problems and added new features that make it easier to use. For example, this year on the federal marketplace insurance you can easily preview the policies, rates and tax credits (applied in advance) you are eligible for by answering just a few questions before you go through the formal application process. Thirteen states plus the District of Columbia have their own marketplace insurance plans and the rest rely on the federal exchange, entering your zip code into healthcare.gov will get you to the right one. Owners of small businesses with 50 or fewer employees can insure their employees. Those with fewer than 25 full time employees may qualify to receive tax credits through the shop (small employer health option program) exchange. The promised “employee choice” option that would allow a business employees to choose among a variety of plans in a selected tier is available in 14 states for 2015. But employee choice has been delayed until 2016 in 18 federal exchange states. In those states, employers will only be able to offer a single health and a single dental plan to employees. The long term future and shape of the Aca is still a work in progress due to an upcoming decision by the Supreme court and the political shift in Congress. But for today, the federal insurance marketplace, and those implemented by various states, are up and running. About 7.1 million people bought health insurance under the Aca for 2014, a figure that’s expected to reach 9.1 million in 2015. Here are some key things individuals and families need to know to avoid frustration and get the insurance they need. Whether you’re a 26 year old just coming off your parents’ policy, a parent who needs affordable coverage for your family, or a 55 year old who has lost employment and/or health coverage, you should be able to find a suitable insurance policy and may be eligible for significant tax credits (delivered in advance in the form of reduced premiums) to help you afford it. People who cannot use the marketplace include those who have an employer sponsored health plan, including Cobra, or who have Medicare, Medicaid or Tricare for military families. The great boon of the Affordable care act is that insurers cannot reject applicants or charge them more because of pre existing health conditions or gender. Rates do vary depending on age, where you live, whether you’re buying individual or family coverage, and whether the applicant uses tobacco. When you apply for health insurance online, or even preview the rates and tax credits, you’ll be asked about your household size and income. While these may seem like straightforward questions, there are many permutations, so be sure to check before you answer them. “Household size” is a misnomer because it actually means “dependents”, not the number of people who live in your home. For example, if your parents or unmarried partner or his/her children live with you but are not your dependents on your tax return, they don’t count. In addition, anyone who is your dependent but doesn’t live with you should be included. “Income” is even more complicated. If your pay stub lists “federal taxable wages” that is the figure to report as income. As you apply, you can also list certain deductions, such as alimony you pay or school tuition costs. Other items, such as child support and proceeds from loans, do not have to be included as income. When you apply, you will also be asked to estimate your income for 2015, and your tax credits will be based on that figure. Tread carefully. If you make more money than you estimate, you could wind up having to pay back some of the tax credit savings when you file your next tax return. All plans must offer the same “essential health benefits”, which include coverage for outpatient care, emergency services, hospitalization, pregnancy, maternity and newborn care, mental health and substance use services, prescription drugs, and laboratory and wellness services. The differences among plans involve premium prices and the size of deductibles and coinsurance. Disclosure is very clear and includes the tax credit you may qualify for and the maximum amount of out of pocket expenses (which includes deductibles, coinsurance and co pays) you would have to pay for a year. In many areas, a dizzying multitude of plans is available. For example, 94 plans are available for a Florida family of four (ages 45, 43, 10 and 6) with an income of $60,000, who qualified for significant tax credits for all plans. You can also search plans in “metal level” categories : bronze, silver, gold, and platinum, which signify how much of the total costs of an average person’s care they pay. For example, with a bronze plan you pay about 40% of the healthcare costs, and with a platinum plan you pay 10% on average. A separate category of catastrophic plans, which pay less than 60% of costs are available only for people under 30 years of age and those with a hardship exemption. The individual responsibility requirement (known as the “individual mandate”) in the Affordable care act requires all citizens to obtain minimum standard health insurance starting in 2014. Your tax return will ask for information about your health insurance coverage. The penalty in 2015 for not having health insurance is $325 per adult and $47.50 for a child, or 2% of your total household income, whichever is greater. In 2016, the penalty will be higher : $695 for each adult and $347.50 for each child, up to $2,085 per family, or 2.5% of family income. Certain groups of people are exempted from the penalty. If the idea of buying health insurance on a website makes your head spin, remember that many insurance agents and brokers can help you with the compare health insurance plans. 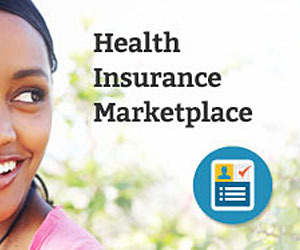 If you think you may qualify for tax credits, make sure they enroll you in a marketplace plan. To compare health insurance on healthcare.gov, you can search by “metal level” categories for the amount of coverage you desire. Or, you can look at all plans you qualify for and sort them in order of either deductible or premium amounts. For further help, enter your zip code at healthcare.gov to find a list of local community groups that will assist you. Once you’ve purchased a plan, stay alert for announcements for the “open enrollment” period for 2016 insurance, when you can renew or switch plans.